The Flag Consideration Panel announced today the four flag designs that eligible voters will rank in the first binding postal referendum this year, between 20 November and 11 December. • ‘Silver Fern (Black, White and Blue)’, also designed by Kyle Lockwood. Flag Consideration Panel chair, Professor John Burrows, said the Panel’s decision had been guided first and foremost by the results of its engagement programme across a range of communities where thousands of Kiwis shared what was special about New Zealand, as well as the Panel’s own selection criteria. He stressed the importance of designs being unmistakeably from New Zealand, timeless, free of any copyright or intellectual property issues and with the ability to work in a variety of contexts. “Interestingly, reviewing the flag designs long listed in detail and in real-life contexts helped shape the Panel’s decision making. For example, there are practical matters such as how they look from a long distance, how they look from both sides, when flying (or still), in situations where they may hang vertically, and so on. It would have also been easy to take a category based approach to our selection, for example have a silver fern option, a Southern Cross option, a koru option and an abstract or kiwi option. However, our mandate was to select what we believe to be the strongest flag designs, with the best symbol and colour combination that work well in any context from celebration to commemoration. We have made the decision to include one of the designs (by Kyle Lockwood) in two colour combinations, because they say different things to different people,” said Professor Burrows. 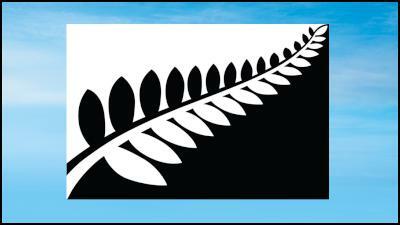 Professor Burrows advised that the New Zealand Story Group license the use of the New Zealand Fern (a trade mark owned by New Zealand Way) and have confirmed they would support the use of its fern design depicted on “Silver Fern (Black & White)” by Alofi Kanter, should this alternative flag be chosen by eligible voters in the upcoming referendums. Architectural designer, Kyle Lockwood, said he had been guided by what New Zealanders had shared throughout the process in terms of identity and believed that many designers had approached the “brief” similarly. “New Zealand is a small nation at the bottom of the world and most of us are pretty humble people who don’t like talking that much about ourselves. When designing a flag, you have to put all that behind you and say, okay, what will make the world recognise us, what will make Kiwis proud to carry it and what will bring a tear to your eye when you see it on the podium?” said Mr Lockwood. Alofi Kanter, who lives on Auckland’s North Shore with his family and is not a professional designer, said he had a passionate interest in flags and wanted to take part in the process which had been really interesting and soul searching. “I felt it was important that alternative flags referenced where we have come from, acknowledging that the past informs our present and our future – it is important to find that balance,” said Mr Kanter. Wellington designer and photographer, Andrew Fyfe, summed up the challenge everyone had faced in visualising a new New Zealand in the identity their flag designs portray. “New Zealand has changed a great deal over the last hundred years and will continue to do so. I was thinking not just about what New Zealand means to me now, but what it means for my kids and what it is going to mean to theirs,” said Mr Fyfe. 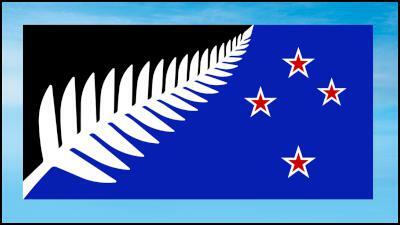 Professor Burrows confirmed that Cabinet has agreed these four designs for inclusion in the first flag referendum. He reiterated that this was an important time in New Zealand’s history – the very first time Kiwis would have a say in their flag – and it is important to participate in the referendums. “This is ‘history in the making’ – these designs offer Kiwis a real choice to consider, think about and rank the flags in November’s postal referendum. It’s a great opportunity to ‘have a say’ on alternatives, before making a final choice between the current flag and the preferred alternative in the second referendum next year,” said Professor Burrows. Mr Burrows thanked everyone who had participated and in particular, the designers of all 10,292 flags that were submitted as part of the process. 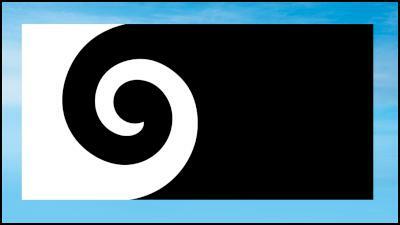 More about the four designs, including video interviews with the flag designers, can be viewed on www.flag.govt.nz. Alofi Kanter is a 51 year old father of three from Auckland. Originally born in Europe, he lived in Samoa for 10 years before making New Zealand (and specifically Auckland) his home 20 years ago. His wife works in a rest home and two daughters are busy studying, with one here at Massey and the other on a student exchange in France. His son works for AJ Hackett in Queenstown. A flight attendant, he has had no formal art or design training but has a passionate interest in culture, heritage and flag design. Kyle Lockwood is a 38 year old, born and bred in Wellington who inherited a passion for a sport where his father was a world champion and NZ team coach in underwater hockey. In 1996 he was a limited service volunteer in the NZ Army and proudly wore the fern on his beret. Despite his Major suggesting a military career, his work at the City Council Building Department started a passionate career in architecture. Each morning his grandmother raises this flag over her house. Andrew Fyfe is a 37 year old, originally born in Thames, who grew up in Tauranga and studied in Auckland before meeting his wife 17 years ago, cycling 35,000kms around Europe and Asia together and settling in Wellington. A professional graphic designer and photographer, Andrew has young twins so life is very busy. He first started thinking about our affinity to our flag when travelling, and especially appreciates New Zealand’s progressiveness as he is the great, great, great nephew of Kate Sheppard. Kyle Lockwood is a 38 year old, born and bred in Wellington who inherited a passion for a sport where his father was a world champion and NZ team coach in underwater hockey. In 1996 he was a limited service volunteer in the NZ Army and proudly wore the fern on his beret. Despite his Major suggesting a military career, his work at the City Council Building Department started a passionate career in architecture, and most recently, sustainable modular architecture. * The New Zealand Story Group license the use of the New Zealand Fern (a trade mark owned by New Zealand Way) and have confirmed they would support the use of its fern design depicted on “Silver Fern (Black & White)” by Alofi Kanter, should this alternative flag be chosen by eligible voters in the upcoming referendums. • not have any impediments to its use as a potential New Zealand flag. In making its selection, the Panel invited a number of cultural (including tikanga), vexillology, art and design experts to provide confidential technical feedback on designs under consideration. The role of these advisors was to review designs to ensure they are workable and that there are no impediments in the choice of proposed designs. The Flag Consideration Panel was appointed in February 2015 following nominations by a Cross Party Group of MPs. The Panel is independent of government and has been provided with a set budget within which it is required to conduct a public engagement campaign that will culminate in the recommendation of four alternative flag designs to the Responsible Minister, Hon Bill English. The Panel is not responsible for the New Zealand Flag Referendums Act 2015 that establishes a process for the holding of two postal referendums on the New Zealand Flag. Cabinet has specified that the Panel’s public engagement process must be independent, inclusive, enduring, well-informed, practical, community-driven, dignified, legitimate and consistent with the Crown’s Treaty obligations.